Re-conditioned items from the Tri-ang range in good condition. All items cleaned oiled and serviced, available ready to run. 40 page Full Colour Printed Catalogue & Order Form only £4.50 P&P Free. Download the PDF catalogue for Free just click on the cover. 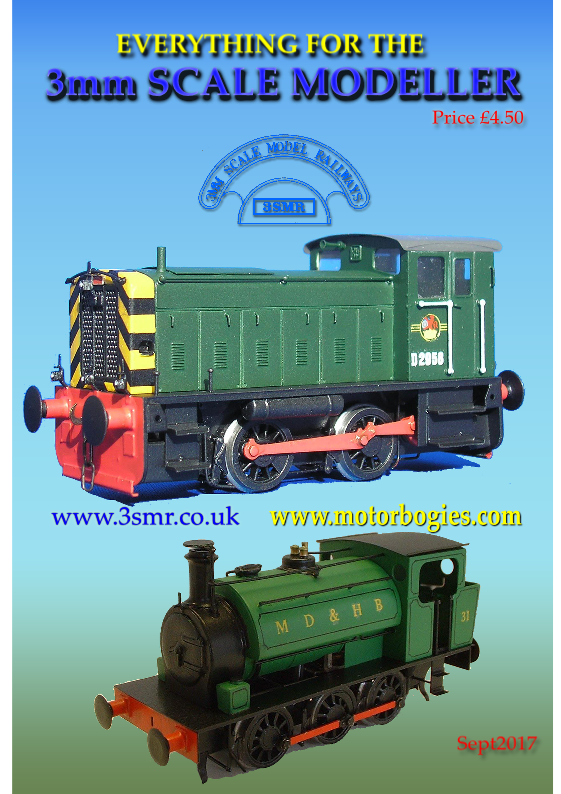 3SMR (3mm Scale Model Railway) suppliers for British outline TT model trains including; locomotives, coaches, vans, wagons, wheels, motors, gears, track, scenic items, road vehicles, materials, transfers(decals), couplings, components and sundry items. We supply 12mm gauge Triang TT course scale, 12mm gauge fine scale, 12mm HOm narrow gauge and 14.2mm fine scale P3 standards. 1:102 and 1:100 and components suitable for American and Continental 1:120 scale. At present new ready to run train sets and locomotives are German outline, but new British outline ready to run is also now available. Architectural Colleges and architects buy our specialist 1:100 scale materials, including Prieser figures, a wide range of Slaters and Plustruct Architectural mouldings, brick sheets, tiles, staircases, I beams & web trusses. A wide variety of customers, be they Triang TT railway modellers or new model makers looking for the ideal model train scale, enjoy buying model railway supplies from 3mm Scale Model Railways either through this website using the Order Form, by mail order or from our exhibition stand. We attend most 3mm Society events around the country as well as some major Model Railway exhibitions. We attend the National Festival of British Modelling Shows. In March we will be at Kingsbury School, Birmingham and Alexandra Palace London. In April we are at the Crawley Show in Horsham. August we will be at the 7mm Narrow Gauge Association Merstham show.